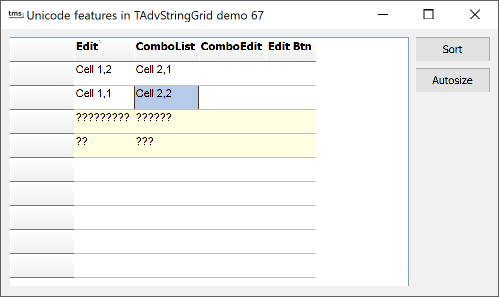 The Unicode text can also be set dynamically using the event grid.OnGetDisplWideText. Through the parameter Value, the Unicode text for cell ACol, ARow can be set. Several Unicode inplace editors are available.